As fall is just around the corner, there is a tradition in TheBluesBlogger household where we start organizing and freezing meals for the shorter cooler days to come… TBBW, or the TheBluesBloggersWife (for those new to this blog), has been more serious than ever in preparing healthy meals since my heart attack almost a year ago. Right from the opening title track I knew I selected the right time to listen to this new release. TBBW started to groove immediately and it set the tempo for the work that was to take place in the kitchen. Like a scene out of the movie The Big Chill, the music set the scene as Lucille looked on with that typical inquisitive canine slanted head gawk… The second track “House of Blue Lights” my 12 year old son found amusing with its crazy lyrics… “Dance like a monkey with its head ripped off… Dance like a chicken with its head chewed off “… What an absolutely fun album so far… So cool!!! Wild & Free is a musical retrospective taking the listener on a trip through the band’s 30 year career. It showcases a wonderful mix of unreleased studio recordings, demo tracks, some rarities, and some their favorites from a choice of live performances. Two new tunes “Where Was You At?” and “The Girl With the Golden Eyes” were written especially for the occasion. 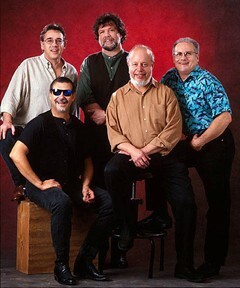 were formed in New Orleans in 1978 with informal afternoon jam session in keyboardist Ed Volker’s garage. Volker, Bua, and guitarist Baudoin at the time were members of the band Rhapsodizers. Malone and Scanlan were in another band called Roadapple. When all of them got together the chemistry that brewed those afternoons was just what the doctor had ordered. Later during that time the guys worked on several original songs that they continue to play until this very day. The Radiators became a vital part of the revival of the New Orleans music scene that saw the development of the New Orleans Jazz & Heritage Festival and the birth of the city’s premier music club Tipitina’s. The band has played with many legends of the New Orleans music scene. They’ve performed with the likes of Professor Longhair, Jessie Hill and Ernie K-Doe, as well as being Earl King’s regular back-up band for many years. Always a favorite party band of college students throughout the eighties, The Rads toured at length all over the U.S., often playing 4 night stands at New York City’s famed The Lone Star Cafe… Signed by Epic Records in 1987, they released 3 studio albums, which received extensive radio play. Their live shows are noted for their soulful and enthused improvisations. Guest musicians such as Warren Haynes, Derek Trucks, Bob Weir, George Porter, Jr. and Maceo Parker have been known to have sit in on occasion. Volker and Malone split vocal and writing responsibilities, with the bulk of the tunes written by Volker. The Radiators don’t appear to be slowing down either. They continue a vigorous and broad touring schedule playing close to 150 dates a year; continuing to sell out their shows major markets as New York, San Francisco, Minneapolis, Philadelphia, Los Angeles and Denver. The band has held down one of the coveted closing spots at the New Orleans Jazz and Heritage Festival for over 20 years. Things are really heating up now… As time progressed the tunes continued and mental notes were made as to which songs were to be replayed. My son, always known for being a music lover, made several requests for me to play certain tunes over again, but I insisted to let the music flow just like the food that TBBW was cooking up. I was never one to sit with a silent gaze when the music played unless I was witnessing it live. I always found that most music had to motivate me to do things. Whether that be walking with Lucille, painting a room, or even doing some electrical work on the house. I always made sure that music was part of that constructive process. It needs to motivate me to move forward. This is perhaps not your typical means for a review, but its TheBluesBlogger way. It’s the only manner I feel truly comfortable with presenting my honest review process. This release is a definitely feel good, foot tapping, motivating material that will certainly make you groove. It sure set the tone this weekend for me and my family. My only regret is that I have never seen this band live, the way they should be experienced. But next time around, I will not miss it. That’s a guarantee… And you shouldn’t either! So are you familiar with The Rads special blend of jambalaya? Are you a fish-head fan? Please make sure you add your comments and let everyone know how you feel about this extraordinary group. From the days of the Cabooze in Mpls.And many Wonderful Sunday Nights at the Riverview Supper Club,I’ve Always thought they are the Greatest Bar Band in the world. The music seen and heard on this site are meant to enhance the enjoyment of the articles and the reader's overall experience. My intention is to honor the artists that have inspired me by weaving my personal experiences together with my love of their music... If you like the music you hear, I urge you to support them by attending their performances and/or purchasing their music. If you hold the copyright and would like me to remove your song or picture then please contact me. I will do so immediately upon request. The Blues Blogger © 2019. All Rights Reserved.